Next month, The Game will release the highly anticipated sequel to The Documentary. Last week he released ‘Dedicated‘ featuring Future and Sonyae and the album’s tracklist which you can look at here. He stopped by with Peter Rosenberg and Laura Stylez to talk about why there are so many features on the LP, some music he’s been listening to, shooting the ‘100‘ video with Drake in Compton, his reality show, the Karrueche dating rumors and right at the end (26:50 mark), dropped some major news. 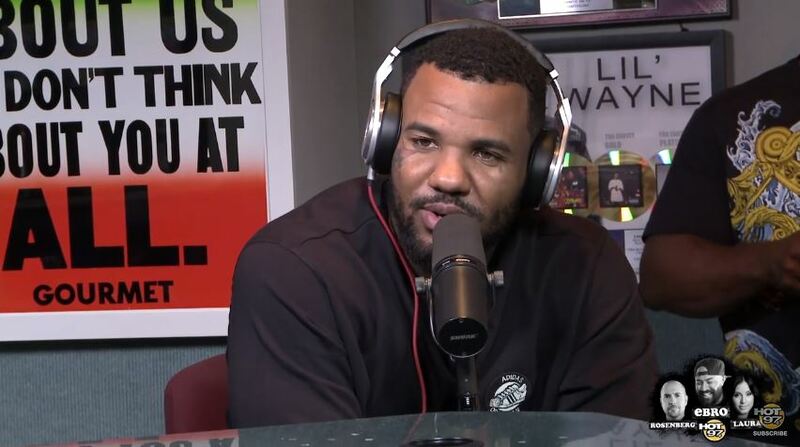 Game has announced that The Documentary 2 is a double album with 38 songs in total. He also reveals that the iTunes track list reveals only 19 songs but the second CD comes out a week later on October 17 with additional 19 songs. October 9 will see physical release of Disc 1 and then on the 16th, the original CD will be re-released along with disc 2. That’s crazy!